President Donald Trump announced he will reduce or stop aid to the Central American countries of Honduras, El Salvador, and Guatemala for their failure to stop their citizens from entering the United States illegally. In 2017, the United States sent about $530 million in aid to the three countries. Around a million of their citizens have been apprehended by Border Patrol trying to enter the country illegally since 2013 (pdf). Trump’s announcement comes after Honduras failed to stop an organized group of several thousand people, who openly proclaimed their plan was to emigrate to the United States. Most of them likely can’t legally enter the country, let alone resettle here. 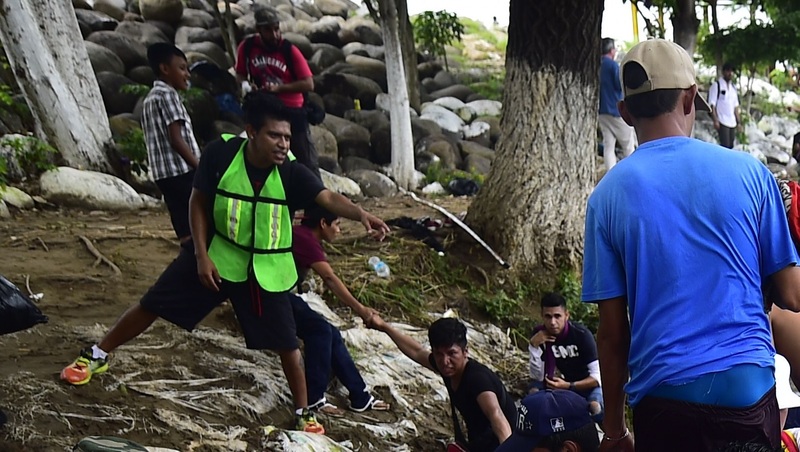 The group dubbed a “caravan” was at least in part organized by the leftist Liberty and Refoundation (Libre) party, which controls almost a quarter of the Honduran legislature and advocates socialism. After the caravan passed to Guatemala, one of the organizers, former Libre lawmaker Bartolo Fuentes, was detained by Guatemalan police and set for deportation back home for violating immigration rules, Honduran security ministry stated. Mexico attempted to stop the caravan from entering but ultimately failed, and some 2,000 gathered on the Mexican side of the border with Guatemala by the night of Oct. 21. Inexplicably, however, the crowd swelled to about 5,000 as it continued the march toward the United States, The Associated Press reported, adding that Mexican law enforcement passively looked on. Between 5,100 and 7,200 migrants were registered in three shelters in the Mexican border town of Ciudad Hidalgo and another 2,000 were camped in the town square, Fox News learned from Mexican officials. While the caravan is mostly portrayed in media as traveling on foot, that appears to be unlikely. The caravan was photographed Oct. 18 in Guatemala City and the next day in Ciudad Hidalgo on the Mexican border, which is over 150 miles, or a 50-hour walk, according to Google Maps. A man wearing the same green reflective vest worn by the caravan leaders was inviting people to enter a semi truck, as recorded in a video freelance journalist Anne Laurent posted on Twitter on Oct. 21. She said she took the video in southern Mexico while covering news about the caravan for ABC News. 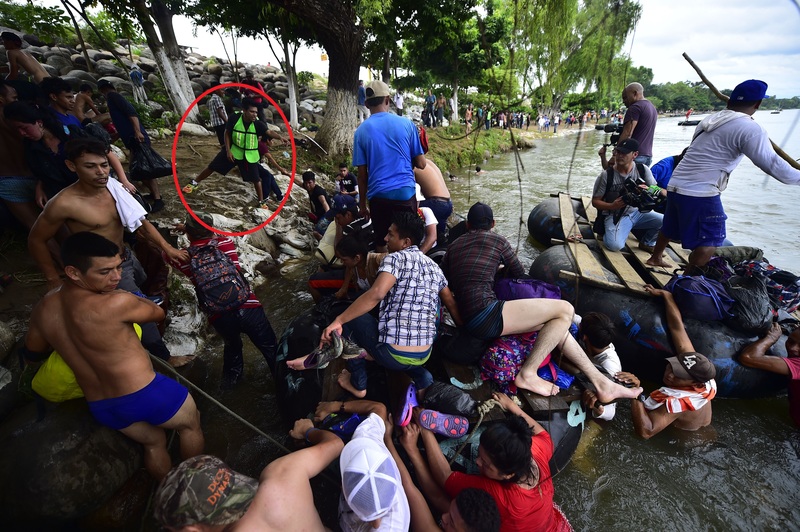 The same man was photographed on Oct. 20 in Ciudad Hidalgo helping people off a makeshift raft used to cross the Suchiate River, which marks the westernmost part of the border between Guatemala and Mexico. The caravan participants attempted to break through the border crossing barriers at a bridge over the river, but failed, with many instead opting to wade across the river or cross it on rafts and enter Mexico illegally. Facebook user Enrique Vitanza posted the video on his page on Oct. 16 that shows the migrants getting paid what appears to be 50 Guatemalan quetzals each (around $6.50). The video appears to have been taken in Chiquimula, Guatemala, on Oct. 16. The source of the money and the identities of the men handing it out have not been verified. Vitanza said the video was sent to him from Guatemala. Trump said he will deploy the military and close the southern border to stop the caravan from coming through. Mexico’s government has said throughout the past week that it would register the migrants and process requests for asylum, and that those attempting to skip the process would face deportation. But the size of the caravan will test Mexico, which has sought help from the United Nations to manage the issue. Central American migrants who reach the United States commonly apply for asylum, but most aren’t eligible because they aren’t fleeing state persecution, but instead escaping abysmal conditions in their countries. 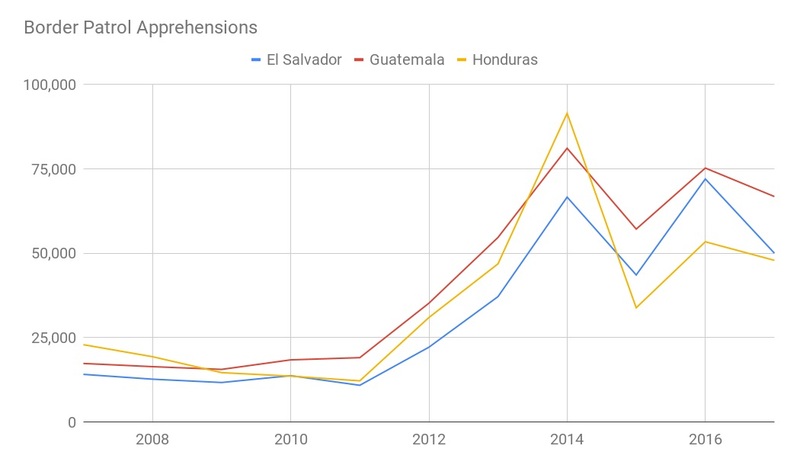 El Salvador, Honduras, and Guatemala all suffer from high rates of poverty and violent crime; their murder rates are some of the highest in the world. Mexican cartels stand to make millions off the caravan—if it reaches the U.S. border—as they control the human smuggling routes and extract thousands of dollars in fees from each border crosser. Trump has blamed weak immigration laws for the influx of illegal immigrants from Central America. He’s further blamed Democrat lawmakers for unwillingness to cooperate on changing the laws. Democrats are unlikely to engage Trump on policies that may be perceived as a win for his administration before the Nov. 6 midterm elections.